Brad moved to New York to pursue a career in opera. He has always had a passion for real estate and after completing his master's degree, decided to dive in and see if he could give customers the experience that he always wanted. With a focus on Washington Heights, he also branches out to nearby areas and knows all the great hotspots that you want to be near! Known as The Agent Who Cares , Brad lives up to his title with his attentiveness and knowledge of the market. He is always listening and learning more about the current availabilities and trends in real estate so that when you are ready to find your home, he will make your search quicker and easier. Whether you are looking to buy your first home or your fifth, whether you are ready to sell your apartment or want to rent a place while you search, Brad is ready to work for you and make sure that you get everything you want and more. Brad is always looking to make sure that his clients are informed about every step along the path through the often tumultuous processes in New York real estate. He works tirelessly to make sure that his clients are cared for and shown the utmost respect. "Brad was an excellent agent. He is very connected to the various building managements in his jurisdiction. He was very honest with us when it came to balancing needs, wants and budget. Brad was completely committed to finding us a place to call home." "Brad made the whole experience fun and stress-free and way easier than expected." "Brad deserves the title "The Agent Who Cares"
"I moved to NYC with my current roommate, and after looking at a lot of listings online, decided to work with Brad Lassiter from Bohemia Realty Group, and we are SO GLAD we did! Brad helped us outline what our priorities in an apartment were, and showed us several places in our new neighborhood of Washington Heights. He was patient and let us take our time, and always asked what we liked and didn't like about each place we visited. When we found our dream apartment in the third building we visited, he got us started filling out the application process that day, and two days later we had been approved! Having moved to New York from California with all my life's possessions and no permanent place to live, it was SUCH a relief to get the keys to my dream home just 2 weeks after I moved here, and it wouldn't have happened without Brad." Brad Lassiter is truly a GLADIATOR! For months, he dedicated his time to find my roommates and I the "perfect" NYC apartment. He was patient, kind, and most importantly he was very informative. Even after we moved in, he checked in to see if everything was ok and if we needed anything. Although the search for our apartment was long and sometimes bleak, Brad's enthusiasm never faded (not once!). My experience with Brad was a great one. He listened to our concerns and showed us apartments that were close to what we wanted. He was very patient and never pressured us into making a decision. He's AMAZING! Brad is an amazing agent. Patient and informative. Very knowledgeable and responsive. I will always use Bohemia and refer others to this amazing Realty group! ALWAYS!! Brad was amazing and really helped us get into the apartment we wanted. He truly went the extra mile. Brad is wonderful and made this easy and comfortable for us. He worked for us, unlike many brokers I've contacted in the past who only work for themselves. Bravo brad! Brad Lassiter from his Texas charm to his ability to be SO patient and find the perfect apartment for his client. I highly recommend calling him to help you! Used all outlets possible for apts and kept on finding amazing places all under Bohemia. Had gone through other realtors in attempt to move in. All of which just would state our application was denied, no rhyme or reason. Brad found out why, as well as multiple ways to fix the issue. There was a blemish still showing on my credit that I was unaware. With this, we would have needed a guarantor. He advised on a company, when we were accepted to use the company he returned to the management to accept our application without paying additional fees. I would absolutely recommend the agent, the company, the final outcome. We are so glad we found and went with Brad in the end. Couldn't ask for more helpful rep. Definitely made it easy to hand over the Brokers Fee. Quick and easy process. Brad was there waiting for us just to make sure everything went smoothly. Brad was absolutely amazing through it all. There was one point my wife and I were both very concerned and felt we would wind up on the street. Brad was calm and completely understood the melt downs the occured on what seemed a constant basis. He was the only agent out of multiple companies to truly help us get in an apartment. Wish we found him much sooner in our process, there would have been no stress in finding our new home. Brad Lassiter is amazing and did everything right. He was flexible on times to meet which was super helpful given that I have 2 jobs. He also asked many questions to ensure that he was showing us places that fit all of our preferences. 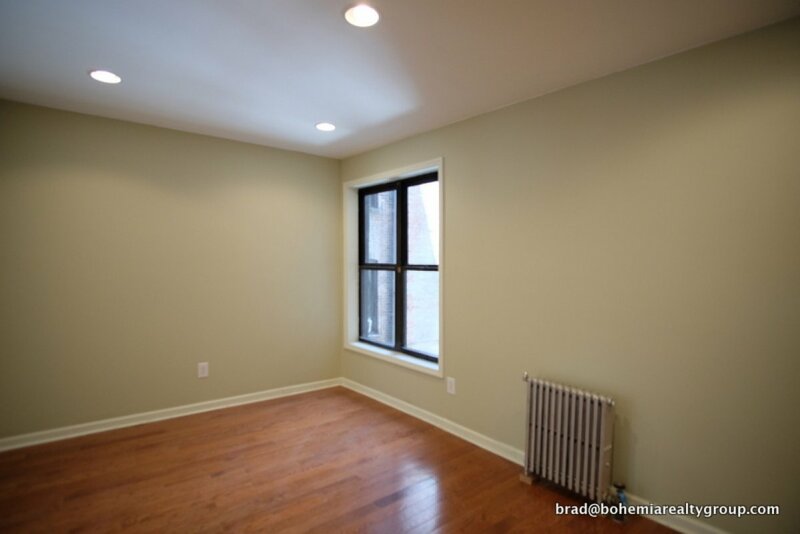 I have seen many apartments showed by many different brokers and landlords and Brad really took the cake; I really have no complaints. He is extremely friendly, professional, accessible, and reliable. If I were to look in upper Manhattan in the future, he's certainly the first person I'd call and definitely the first person I'd recommend to any friend or colleague. An attentive listener, upbeat and optimistic through a long process,Brad Lassiter was invaluable in guiding us through every step in the purchase of our Washington Heights coop! Brad knows northern Manhattan incredibly well and offered us many location options as we began our search. He quickly learned what would work for us and helped us find multiple listings that would have been good choices. Once we decided on a property, Brad was attentive to every imaginable detail, offering sound negotiation guidance, and assisting us with enthusiasm through the paper work, coop approval, and closing. He made sure that every "i" was dotted and "t" crossed. With unwavering enthusiasm, Brad was remarkably generous with his time, an excellent communicator who responded to emails, texts, and phone calls almost instantaneously! Many thanks to Brad as a trustworthy, knowledgeable, and responsive super-professional who has truly earned our confidence! Brad is great! I had a great experience with Brad. Apartment hunting in New York is certainly never painless, but having an agent I could rely on was never a worry. Brad was always on time, responsive, and incredibly helpful, especially when things didn't go as planned. I know he's a busy guy, but he treated my roommate and me as though we were his only clients. Though the commission fee is high (my one major complaint) I'm glad it went to such a great person! Thank you!! "Brad was great! He was very kind and very patient with us. He continued to show us several places until we found the right one. He made me and my roommates feel very comfortable and at ease when signing the lease. I would recommend him to anyone! " My son and I had an excellent experience apartment hunting with Brad Lassiter of the Bohemia Group. I cold-called Brad based on listings on Bohemia's website. That same day, Brad put together a group of apartments, in our price range, for us to see. He was on-time, unflappable (despite people and weather) and willing to show us a variety of buildings and neighborhoods. Brad was undaunted and patient when we didn't find anything that afternoon that we wanted. Next Saturday, Brad showed us two more neighborhoods and several more apartments. I felt that he was acquainting us with both a part of Manhattan and a housing market with which we were previously unfamiliar. He left us in a good position to respond positively when we did see the right apartment, on the right block.We started out looking for a studio apartment near a subway station, a supermarket and a laundromat. We ended up with a junior one bedroom 3 blocks from 2 subway lines, within 2 blocks of 2 supermarkets and within one block of 2 laundromats. Brad arranged a lease signing at a time that we best for our schedule. He came to the lease signing. This was very reassuring for my son, who had never rented before, and for myself, who hadn't rented in decades. As we parted company afterwards, Brad said that we should get in touch if there was anything more that he might do to help. This apartment hunt was a good experience. I had a great experience working with Brad at Bohemia. He was very helpful is showing me places in the areas I requested and also staying in my price range. He kept me up to date with the application process and worked hard to get me what i needed to secure my new apartment. The other staff I encountered at Bohemia were also as friendly and have a good understanding of the neighborhoods they working with. I will defiantly recommended them in the future. MASSIVE 4BR is Ready for you to Rent!